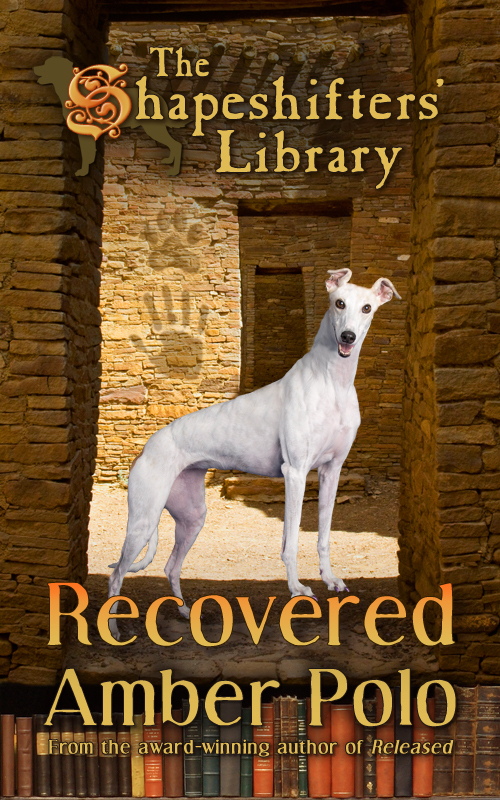 I am excited to feature Recovered by Amber Polo, book three in the Shapshifters' Library series! If you are looking for an urban fantasy series that is fun & a bit different, then look no further! While this is book three in a series, it can be read as a stand alone-but as always with series, it helps to have read the previous books first. From the award-winning author of THE SHAPESHIFTERS' LIBRARY series, RELEASED and RETRIEVED, comes the long awaited third installment! Bliss D. Light was just an ordinary children’s librarian until one day she discovered she could grow a tail. Now her life is filled with more magic than any of the fairy tales she tells the children who gather at her feet at the Shipsfeather library. Like many of the other residents of Shipsfeather, Ohio, Bliss is a dog-shifter, and her newly discovered ability to change from human form into that of a sleek white greyhound has left her yearning to know more about her true heritage. The answer to all her questions, she is certain, lies with the dog-shifters’ long lost Library of the Ancients and, undeterred by the fact that thousands before her have searched, she sets out to find it. Accompanied by her best friend Harry, a disgraced werewolf/dog-shifter mix, and hotly pursued by the evil werewolf team of Sybilla and Blaze, Bliss’s quest takes her across the sacred sites and ancient mounds of the American Southwest. Though kidnapped by dogcatchers, sold into racetrack slavery and forced to fight wolf dogs to survive, Harry and Bliss never lose sight of their goal—or each other. Because the only thing more important than finding the ancient lost treasure might just be preserving what they already have found: an unlikely love that could be the first step toward bringing two ancient enemy races together. Love dogs? Love books? Love libraries? Hate Book-burning werewolves? Once long ago the Shipsfeather Academy was a training ground for an ancient race of dog-shifters whose mission was to protect the world’s knowledge. A powerful curse sealed these librarians in the basement of their building and gave the control of the town to a pack of book-burning werewolves. Librarian Liberty Cutter watches in horror as the town’s public library goes up in flames and plans to re-establish the library in the abandoned Shipsfeather Academy building. Chronus, the Old English Sheepdog headmaster of the academy and leader of the dog-shifters, knows he must make some changes to continue to keep his pack safe. But even if he could persuade Liberty to believe in a talking sheepdog, how far can she be trusted? And will she ever be able to care for him as a man. He has to try, because Liberty Cutter and her staff of zany librarians may hold the key to the dog-shifters’ freedom…and the future of the town. 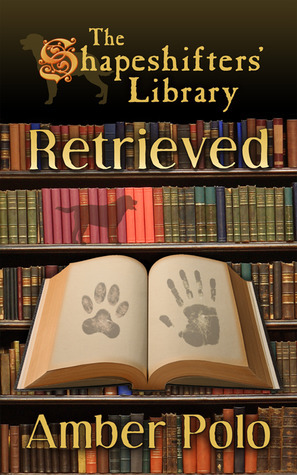 Dog-shifters once again face the book-burning werewolves of Shipsfeather in this charming second installment of The Shapeshifters’ Library series. Godiva Anglesey, Chocolate Labrador, and the ruggedly handsome English Mastiff Cynerik are forced to team up against power-hungry werewolves when Cynerik discovers an ancient Ohio mound that may hold answers to their shifter history. Knowing the mound’s secrets could benefit the dog-shifters in the ongoing contest for power, ambitious werewolf pack Alpha Sybilla challenges timid Godiva to a battle for the territory. Already faced with a malicious book-worm infestation and a censorship threat to ban all anthropomorphic books in her library, Godiva, who has no interest in battling anyone, must turn from running her small town library to train for a challenge she believes she has no chance of winning. Just when things couldn’t get any worse, Godiva’s mother announces that family tradition dictates that Godiva must be married by Summer Solstice… to a Druid. Godiva doesn’t even know any Druids. Godiva wants to run her library, retrieve books for library patrons, and keep people happy. She’s no hero. She doesn’t have what it takes to face down werewolves or save the world. Cynerik, however, believes differently. Together they must defeat the werewolves, save the town and its library, protect the most important archeological discovery in dog-shifter history… and, just maybe, find love along the way.